After the excitement of December 25 – parties, presents, carols, turkey, twinkling lights and all – the days between Christmas and New Year can be a bit of an anti-climax. That’s why my mum came up with the tradition of treating us all to a family lunch at a favourite restaurant on Boxing Day or the day after. We went to Summer Lodge in the pretty Dorset village of Evershot for years. The staff there were lovely, greeting us like old friends and happily letting my son and nephew request songs for the pianist to play. It’s 12 years since my mother died but we’ve carried on the annual Boxing Day lunch. 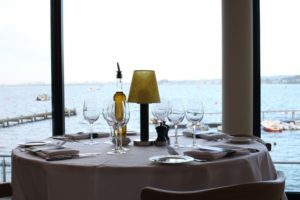 This year we decided to have a change of scene and my father took us to Rick Stein’s new restaurant at Sandbanks. 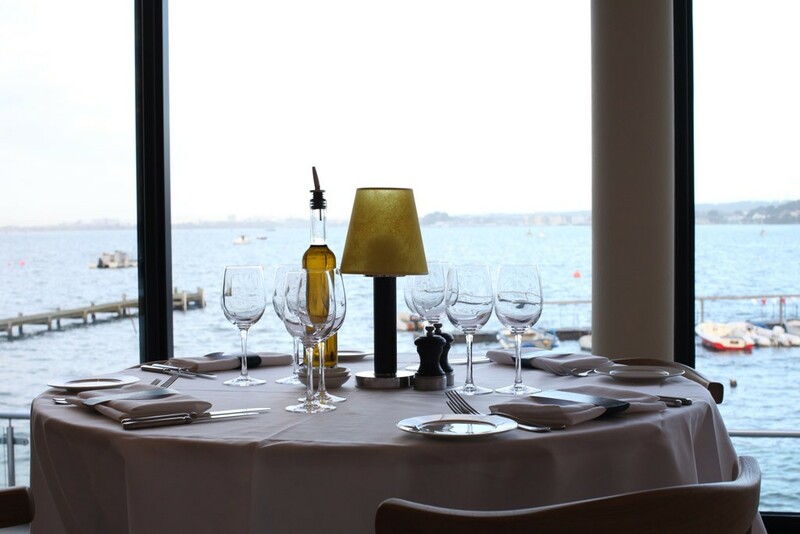 As things turned out, it got the seal of approval from everyone – for its breathtaking views over Poole Harbour, stylish decor and delicious food. The menu is largely fish, hence most of us choosing things like sashimi of scallop, salmon, tuna and mackerel and fruits de mer. My son plumped for the butternut squash risotto and red braised pork belly though and pronounced them both top notch. My daughter was so taken with the stunning blue ceramic water jugs on the table that she bought one to take home. But food aside, the most memorable bit of the day was the journey to and from the restaurant. We parked our cars at Studland, took the Sandbanks Ferry (chatting to the cheery crew and admiring the ferry’s slightly wonky looking Christmas tree, firmly lashed to the bridge) and then walked along the beach to Rick Stein. For me and my sister it was a walk down memory lane. Why? Because when we were 11 and nine we lived in a white washed bungalow that backed on to the beach at Sandbanks. It was called Flintshore and my parents rented it for six months over the winter, when the beach was deserted and rents were low. Flintshore was demolished years ago and a new, steel grey clapboard house now stands in its place but the beach hasn’t lost any of its magic for me. By the time we finished lunch it was pitch black outside and we stumbled our way back to the ferry. The beach was dark and empty so we used the light of our phones to guide us, laughing and reminiscing as we scrambled over the rocks and stones.